​A few times a year, CEO and Founder of Downsize Farm, Bob Custer, discusses why "Life is Looking Up at Downsize Farm!" The video series is titled, "Here's Why," a phrase Bob uses often in his daily life to describe "Here's Why We Do What We Do at Downsize Farm!" This edition of "Here's Why" also features Program Development Director Pearl Cline. Bob & Pearl discuss what's coming up around the holiday seasons at Downsize Farm! Our mission is to enrich the quality of life of each program participant through a personalized, yet structured schedule that is well balanced. Downsize Farm is certified by the Ohio Department of Developmental Disabilities. Our staff is trained according to D.O.D.D. requirements. Small staff to client ratios enable daily activities to enhance positive friendships while flexing according to individual interest and ability. It's our desire to maintain a safe and positive social atmosphere at Downsize Farm. To do so, we affirm the dignity of each person in our program by honoring individual rights and personal responsibility to one another. Respectful behavior is expected, including positive words of expression and courteous group interaction. It's our worldview that every individual is created in the image of God and has inherent dignity, value and worth regardless of physical capability or intellectual function. "DOWNSIZE FARM IS A PASSAGE AND A PARTNER OF HELP AND OF HOPE TO LIVE PURPOSEFUL AND PRODUCTIVE LIVES. ​LIFE IS LOOKING UP AT DOWNSIZE FARM." Downsize Farm, located on 2.5 acres in the gentle hills of eastern Champaign County, has been home to the Bob and Midge Custer family since April of 2001. The old farmhouse that has land marked the countryside since the early 1900’s had a welcome appeal of promise for their family. They had moved to the area from the dairylands of Wisconsin in 1989 to serve as pastor at Jenkins Chapel, bringing along a well cultivated desire to grow things. 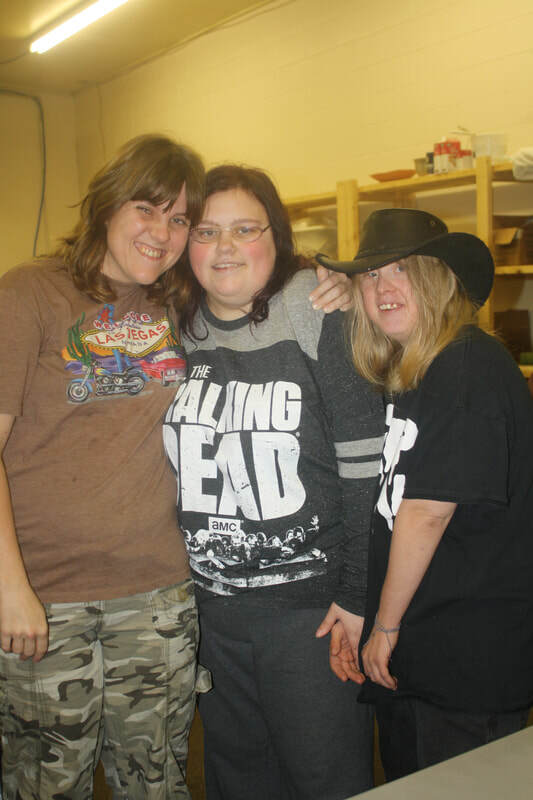 Two-thousand and one would prove to be an eventful year of transition for the Custer's as they responded to an inner desire to deepen their roots in the area and follow God’s direction to be more involved in the needs of individuals and families dealing with the special challenge of developmental disabilities. Like other families that prayerfully appealed for answers to the unique demands of raising special needs kids, Downsize Farm would be a great place for their two sons, Levi and Eric, to look at life through their distinct trademark Down Syndrome eyes (Down’s-eyes). The Sower had planted the seeds of the hopeful and redemptive adventure “Life is Looking up at Downsize Farm” and it was ready to grow. ​The history of our country is filled with the adventurous stories of men and women whose very survival depended on the creative use of their personal resources and willingness to work together for mutual benefit. Despite obstacles, they were hopeful that the quality of their lives could improve. Levi had just turned 7 when Downsize Farm became our home. Before his birth in February 1994, Midge and I knew that he would be a boy, but not that he carried a genetic disability. We were anticipating that we would raise him just like our other three kids, and adjust our lives to include him in our family activities. And boy did we adjust! We knew little about Down Syndrome and the first few weeks were difficult and discouraging as we digested the statistics about his potential. 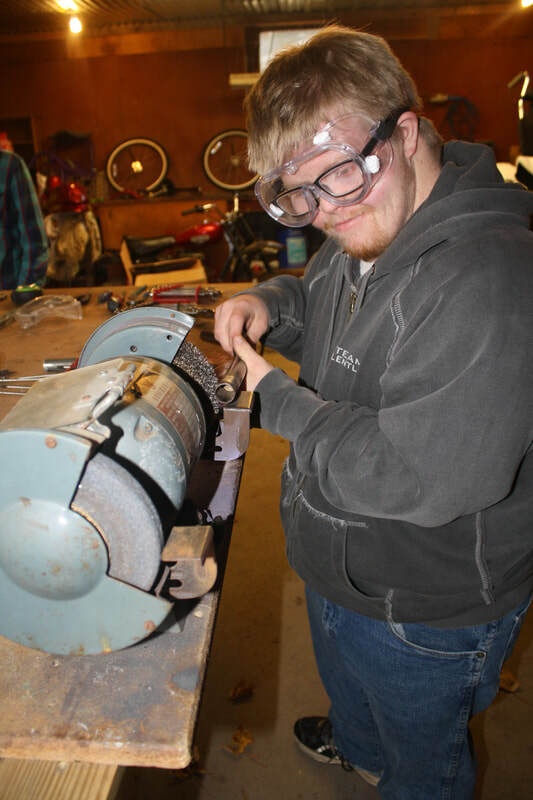 We didn’t know what resources might be available to assist us with his special needs. What we did have was a parent’s persistence and a flickering faith that meant love would find a way to help Levi’s life be as positive as possible. The staff at the Champaign County Board of Developmental Disabilities was the first of many resources available to help us. We met professionals who encouraged us and parents who were models of hope along the way. At Downsize Farm, life is looking up because our help comes from the Lord” (Ps 121:1) As Levi grew, so did our hope. God had planted the seeds in our hearts of a calling to make a redemptive difference in the lives of people impacted by developmental disabilities (Jer 29:11, Ez 34:12). The gift of God’s grace not only gave us an eternal hope (Eph 2:8-9) but also a redemptive hope (Titus 2:11-14) and a living hope (I Peter 1:3) By God’s grace, we are His workmanship (Eph 2:10)…created, redeemed, called and equipped to make a redemptive difference in the lives of people. The essence of adventure is skillfully using all the resources available when navigating through the weather of life, day after day, season after season. The reality of adventure is that when looking back, it wasn’t so much skill as it was “but by the grace of God”. God’s help arrives by his grace and at times seems only “sufficient” and at other times “more than abundant”. Significant events of God’s hand at work in our lives include the adoption of Eric in 1999, our second Downy boy who was 4 at the time; the purchase of Downsize Farm in 2001; employment as a foster care case manager with Lifeway for Youth in 2001; the fostering of Randi M, a 11 year old girl with Cri du Chat in 2003; the death of our son Gabe in 2006, the establishment of our Agency in 2007; the remodeling of the barn in 2010; the summer storm of 2012; the purchase of Legacy Hills in 2013 and the start of the Job Center in Urbana. During each event, the names of people God put in our lives to help us and us to help have been written on our hearts. Today 13 staff, 40 clients and numerous friends participate in daily events at Downsize Farm. We’re not exactly sure what the next chapter will be about, but we do know that the adventure continues and “Life is Looking Up at Downsize Farm!"